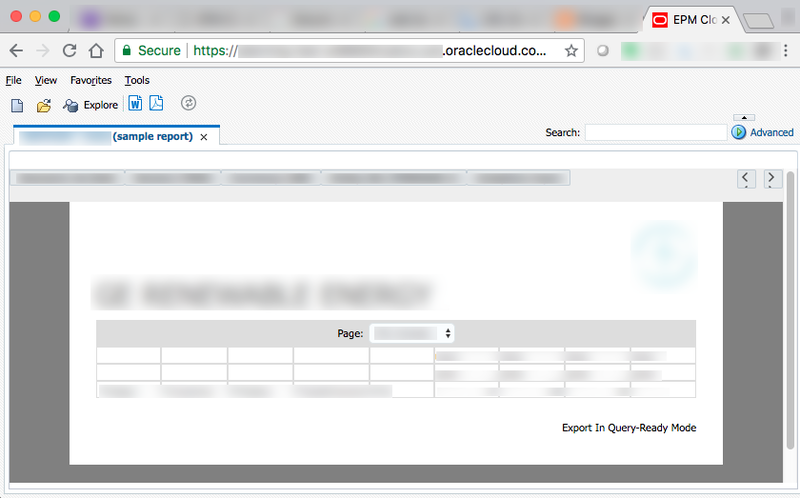 While working with PBCS and creating FR (Financial Reports) using the Oracle Financial Reporting Web Studio, I wanted to be able to send a simple URL to Users via email and at the same time use this URL in the Task List. This would give them the ability to view on their mobile phone, tablet or browser directly without having to log into the app, search-dig around for the report via Reports, etc. They could simply use the URL or the Task List item! So, this is how you would do that, easily, and with a few simple steps. and the folder "Plan Reports"
with the report named "Income Statement - Act vs Plan"
2.1) In the box where it says "Type (or paste) here..."
It is fun to know that Workspace is still running, makes me feel like I should be looking for the ships-wheel, Ahoy Matey! .. but I digress .. The reason that I mention Workspace is because it is needed for this next step. Your desired outcome should look like this example. You can now copy paste that URL and use it in the Task List or simply email that URL to any user that has the proper provisioning to run the report!